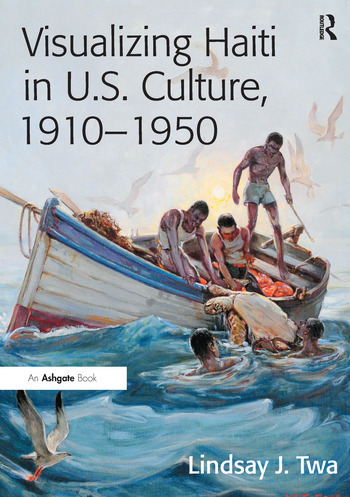 From the late 1910s through the 1950s, particularly, the Caribbean nation of Haiti drew the attention and imaginations of many key U.S. artists, yet curiously, while significant studies have been published on Haiti's history and inter-American exchanges, none analyze visual representations with any depth. The author calls not only on the methodologies of art history, but also on the interdisciplinary eye of visual culture studies, anthropology, literary theory, and tourism studies to examine the fine arts in relation to popular arts, media, social beliefs, and institutional structures. Twa emphasizes close visual readings of photographs, illustrations, paintings, and theatre. Extensive textual and archival research also supports her visual analysis, such as scrutinizing the personal papers of this study's artists, writers, and intellectuals. Among the literary and artistic luminaries of the twentieth century that Twa includes in her discussion are Richmond Barthé, Eldzier Cortor, Aaron Douglas, Katherine Dunham, Langston Hughes, Zora Neale Hurston, Alexander King, Jacob Lawrence, James Weldon Johnson, LoÃ¯s Mailou Jones, Eugene O’Neill, and William Edouard Scott. Twa argues that their choice of Haiti as subject matter was a highly charged decision by these American artists to use their artwork to engage racial, social, and political issues. Contents: Prologue: thoughts of Haiti; Presenting the taming of Haiti: National Geographic magazine and the U.S. occupation; Illustrating The Emperor Jones; Imagining a black magic island; ’Creative ethnographers’ document Haiti; Vernacularizing Haiti’s revolutionary history; Marketing Haiti: tourism, the art market, and icons of Haiti; Selected bibliography; Index. Lindsay J. Twa is Associate Professor of Art and Director, Eide/Dalrymple Gallery at Augustana College, Sioux Falls, SD, USA.